If you’re about to upgrade your home entertainment system, or if this is your first time moving away from the cable company, your first thought is probably to let the manufacturer do the install. In many cases, this is a great choice. The manufacturer or service provider is going to send an installer who is well trained and has access to the kind of resources necessary to do the job right. Sometimes, though, if you have a tricky installation, your installer may want to charge extra or may tell you that the install is against the rules. You may need computer network line run, or a change to the way all your computers connect. A manufacturer rep is going to work with you to make sure that you get good TV service, but he is not going to be able to help you with issues that have nothing to do with the install he was hired to do. You may want a flat-panel TV hung or wires fished through a wall. A satellite TV installer isn’t going to do this. You may want to make sure that your hardwood floors are left untouched, or have a special access panel that you want to buy ahead of time. Unfortunately the installer probably won’t get this kind of information ahead of time and won’t come equipped with the tools he needs. Signal Group, the parent company of Solid Signal, has a division called Signal Installs that specializes in just this sort of situation. We care about your whole home, not just your cable or satellite installation. We have people on staff who can handle every aspect of a complex installation, including computers, networking, wall mounting and more. We will work with you to solve your specific problems and we can give you an idea of what it will cost upfront. If you set up your DIRECTV or Dish service through Solid Signal or upgraded to the latest hardware through us, we can pass information along that will make everything easier. We can act quickly and without a large number of corporate “hoops” that you might need to jump through. Signal Installs is uniquely qualified to service commercial accounts. 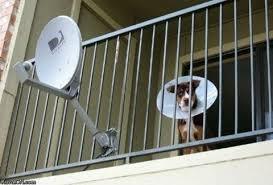 Bars, restaurants and other commercial satellite installations have special requirements. We understand that. You may want 25 televisions in the same space. You may want to mount projection equipment on the ceiling. We get that. There is a huge difference in installing service for a commercial account and we will be your one-stop vendor for this project. We’ll work with you to make sure it’s right, period. Because Signal Group is a DIRECTV and Dish dealer, we have the same access to installer resources as the manufacturer reps. We will make sure you are up and running. We guarantee that before our job is done, your system will be up and running to your satisfaction. Our techs will take the time to show you how it works, so you have the knowledge to use your equipment before we leave. It’s that simple. For a new customer with a basic system or a customer who wants a simple upgrade, there’s nothing wrong with going straight to the manufacturer. But if your install is special, a third-party like Signal Installs is going to take the time to make sure you are satisfied. Is your DIRECTV receiver spying on you?